Surroundings are one of the main components on which depends satisfaction while playing a game. 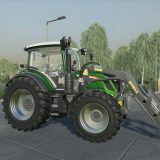 Many games have faced huge disappointment just because all the textures didn’t satisfied gamers but this will never happen to Farming Simulator 2019 because you can always change everything just by downloading Farming Simulator 19 textures mods. It’s a smart way to satisfy everyone needs because every one of you has individual taste which leads to different needs. One pattern cannot feel right for everyone so all of you can change this by using FS 2019 textures mods. You cannot find a better solution because this one is absolutely free. All these mods you may find here are completely costless so if there’s even a tiniest detail which bothers you, change and fix it using LS 19 textures mods. From now on you can easily fix all the problems so there’s nothing to worry about anymore!